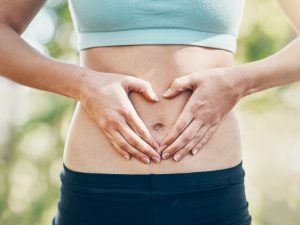 Fermented foods, as well as beverage, improve the health of digestive system as well as digestion, and they also reduce stomach swelling, thanks to probiotics and more. But let’s find out more about these precious and healthy foods. 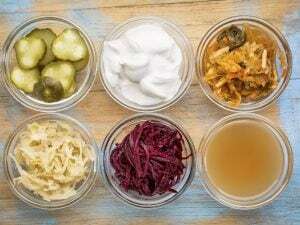 Fermented foods, as well as beverage, improve the health of digestive system as well as digestion, and they also reduce stomach swelling, thanks to probiotics and more. But let's find out more about these precious and healthy foods. Fermented foods are traditionally consumed in Oriental and Eastern European countries and have been the basis of traditional nutrition for many populations in different parts of the world. Fermented foods and beverages improve digestion, help metabolism and strengthen the immune system. We are talking about foods rich in "good bacteria", especially present in our intestines, that also help us to reduce stomach swelling. But let's see which are the fermented foods we need to incorporate into our diet to facilitate digestion and have an healthier organism. Fermented foods, as well as being very good foods for their pleasant tasteful acidity, provide the body with precious elements for the intestine as lactic ferments. They are also rich in enzymes and B and C vitamins that provide an antioxidant, purifying and digestive action. 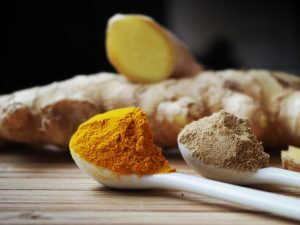 Here are the unmissable foods in our diet to facilitate digestion. Among the best fermented foods, there is yogurt prepared with cow's milk or soy milk (vegetable version) that is an excellent alternative for vegetarians, vegans or for those who are lactose intolerant. 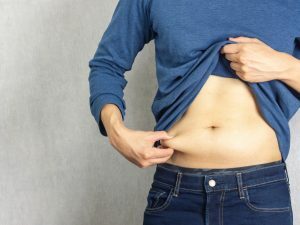 Yogurt contains live lactic ferments and probiotics that help digestion and protect stomach and intestine even in case of colitis and gastrointestinal problems, and they also deflate the belly. Miso is a widely used condiment in China and Japan. We are talking about a very ancient product based on cereals, soy and whole sea salt. It is a brown paste with a pleasant taste that can also be used to prepare vegetable broths and soups, as well as risottos. Miso helps improve intestinal function and strengthen the immune system. 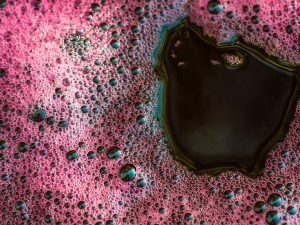 The kombucha tea can be green or black and it has a particular and spicy taste: it is a fermented drink that is considered a long-life elixir by many people. In addition to improving digestion, kombucha tea helps stomach and spleen to perform their functions, and it also works as a natural probiotic helping the intestine and it is considered an excellent drink for those suffering from kidney stones. You can buy kombucha tea in organic or on-line shops and try it also in aromatised versions with herbs or fruit. Tempeh is a fermented food that has Indonesian origins: it is based on soy beans and it is rich in isoflavones and proteins that protect heart and bones. It is a good source of probiotics that improve digestion, and it is also rich in essential amino-acids. The tempeh is obtained from fermentation of cooked soy beans, to which fungus Rhizopus Oligosporus and vinegar are added. It has a flavor similar to that of hazelnut and it can be consumed steamed, stewed but also as a condiment. 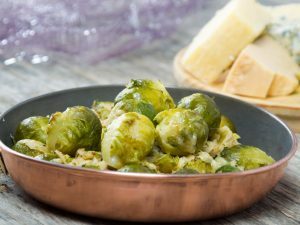 Sauerkraut is an excellent alternative for a side dish made with fermented vegetables. It is widely consumed in Germany and Austria, and in general in Northern European countries. Sauerkraut is rich in vitamins and minerals, promotes digestion and it is a panacea for intestinal flora, thanks to the content of probiotics. Kefir is a fermented beverage native to Caucasus that is obtained starting from milk, vaccine or soy, but also from water, thanks to special granules that allow fermentation. 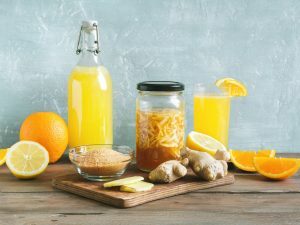 It is a very healthy drink with a sweet but slightly acid taste: it is rich in probiotics and lactic ferments that protect the intestine, guaranteeing its proper functioning and facilitating digestion. Kefir is also rich in proteins, mineral salts and vitamins useful for strengthening the immune system and preventing arteriosclerosis and osteoporosis.